Today I am feeling thankful. The story of these pictures, from 1912 Providence and surrounding towns, depict a kind of poverty that, thanks to my ancestors who moved themselves beyond this life, my siblings and I never saw. My grandmother Edna Darling was born in Providence, Rhode Island in 1905. Her parents, Russell and Eva, soon had a second child, Russell Jr. During World War I, her mother found work at Gorham Manufacturing; I wonder if it was in silver manufacturing or perhaps some special war work. Her father was a stone setter in the fine jewelry industry, but depending on the economy, was sometimes out of work. During World War I they lived at 52 Prairie Avenue, renting in a tenement building long since lost to urban renewal. Grandma said that once her mother found work, she had to come straight home from school to do the cooking and cleaning; make the beds, wash dishes, start dinner. There was little money; she felt threadbare and, at times, worried about her circumstances. Her parents never in their lives owned a vehicle of any sort, never owned a home; after the Depression began, her father never worked in the jewelry industry again, but found work as a night watchman. But until I saw the pictures, below, by Lewis Hine for the National Child Labor Committee, taken in Providence around 1912-1913, I never realized how lucky my grandmother was, and how removed she was from the grinding poverty of newly immigrated families. When she grew up, Grandma found a respectable job in the billing department of the phone company, and made sure to marry a successful businessman. After seeing these pictures, I get a better idea of what she was so afraid of, and what she wanted to make sure never happened to her children. It’s strange that I think of my grandmother when I see these pictures, because they depict, really, the lives of her grandfather’s people, who arrived in the U.S. from England around 1830. I’m sure most or all of their existence was spent in conditions like this, near various cotton mills up and down the east coast. While I’m quite sure their lives were no better in England, I am awed by their determination and courage, and awed that their children built better lives each generation. They also make me think of my father, selling newspaper and magazines, and stoking furnaces as a boy in the 1930’s. Although born in the U.S., his parents were from Canada and his father died when the four children were small. The immigrant experience hasn’t changed much; people coming from desperate situations into what they think will be a life with choices and freedom, only to find themselves very poor and looked at with suspicion and fear. And they carry on. We are a nation of immigrants. Because of them and their hard work, we are here today. This Christmas season, I’m feeling grateful. Photos by Lewis Hine (1874-1940) for the National Child Labor Committee (NCLC). Pictures and captions from the Library of Congress. From the Library of Congress’ website, Child Welfare Exhibit, 1912-1913. A growing family and perhaps other relatives or associates. I can’t quite imagine how the photographer talked his way into this back room. Was there a kitchen set up at the end of the room? This is a troubling picture, but I am confident the children somehow did better. When I look at Jimmie, with his ragged pants and heavy load of newspapers, I worry about an 8 year old being so comfortable out in the streets. The photographer’s notes make it clear many of these boys were out until midnight attempting to sell all the papers. A girl and her goat. Of all the pictures, this is the only one I actually like. I can’t tell what she is offering the goat; it does not look like food. Like many back yards in the photographs, this one appears crowded and haphazardly full of stuff. No place for children, or goats either. I had relatives on Spruce Street in the 1860’s. Reading the caption, knowing that eight people live in this space, this picture haunts me. I find the Polish wife so beautiful. Likely, the elaborate stove, probably a relic of decades earlier, comprised most of the kitchen facilities. There is a black cord winding around the crib. Could that have been to an electric light in the bedroom? It took me a minute to realize what I was looking at. Of course every back yard had an outhouse. New England has a way of looking barren like this in late fall or early spring, but still, this is a grim dirt yard full of trash. Given that many moms were working hard, it seems like a good idea for the Settlement House to teach girls to sew – it would help them clothe themselves and their children in the future. My grandmother sewed for many decades, often clothing her children herself. After looking at so many of these pictures, I can tell the Settlement House was a clean and ordered place. A couple of these pictures featured midwives’ homes, probably based on the photographer seeing shingles hanging out front. Looking closely at the picture, an additional child appears in the lower, dark corner. The children are so tiny. Wouldn’t midwives go out for births? Would the women have come to them? I can’t quite reason out why so many children would be in this unkempt yard. Trash-burning was obviously taking place here, although the basement windows of the “rear tenement” seem mysterious and unexpected. You’ve got to like this guy. Working hard at age – 11 maybe? He looks so capable. I’m hoping Speed had a great future. 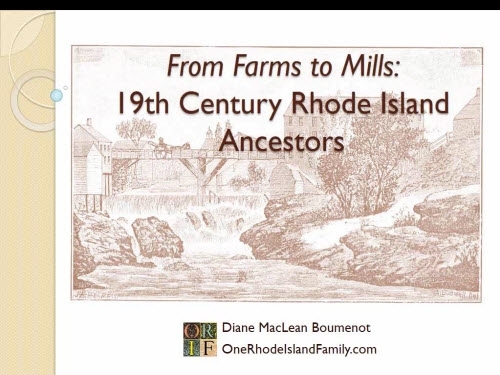 In 1912 Rhode Island was still full of mills. Lonsdale Mills in Smithfield were among the largest. This is probably a cotton mill. If you look at it for a while, with windows on all sides, you realize something’s missing – there is no artificial lighting. How dark it must have been on cloudy days. Were working hours shorter in winter, I wonder? Peddling Bills, Atwells Ave., Providence, R.I. Location: Providence, Rhode Island. This boy on Atwells Avenue is probably Italian, looking older than his years. I don’t think the streetcars were exactly new in that era, but I know they continued for a few more decades. Another view of Lonsdale Mills, with girls running the machines. I’m sure there were many dangers to working outside the home at a young age, but still, it seems more humane and social to me than life spent working in a crowded home. Looking closely, you can see Elvira is working on a chain-link fabric, with tiny metal pieces in front of her. Is she creating the chain fabric? or attaching it to something with the tiny links? It’s unclear to me why she’s surrounded by fabric pieces. She looks dedicated, and tired. Of all the pictures, this one breaks your heart the most. What can be in that bag? It seems too big to contain something heavy like food or firewood … maybe laundry? Or some materials for a home industry? The sign on the building says Do Not Spit. The rest of the family must have been working very hard if this was the most practical way to transport goods. Childhood? I don’t think so. Knowing boys this age, the concentration here seems exceptional. Imagine doing that all day. The picture in the corner is of a king, perhaps, with his children. I can’t imagine people ever forgot where they came from. There are five children in this picture and, perhaps, another on the way. When I look at this picture I think, they loved each other. What a legacy. 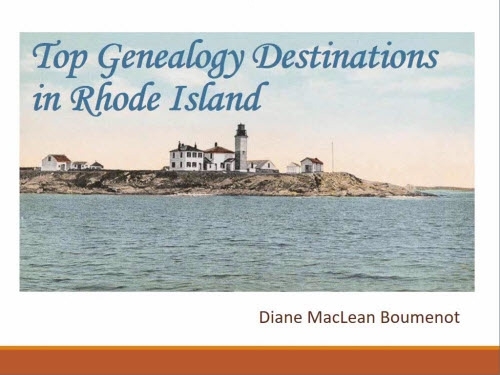 Diane: I am a latecomer to this post, but I had to comment about what a service it is to show the poverty and hard work from a very young age that existed in Rhode Island in the early part of the last century. It should give us all pause and as you said, make us feel grateful if our families have managed to pull themselves up out of those dismal, soul-crushing lives — sadly many families today are still engaged in the struggle. John, and Lawrence, thanks for leaving your thoughts. Unlike many of my felow americas I know well the story of the imagrant just becaws I know my familys history. My great grand father split ceader shingls in a canadian lumber mill. His life was not much difrent than befor when he Imigrated to america but some how he knew that the life of his children and there children woold be much difrent. These courageous people gave us our opportunities. Thank you for the wonderful pictures and descriptions thereof. Good, no great, job! I have been doing my family tree on Ancestry and my grandparents were from Poland. 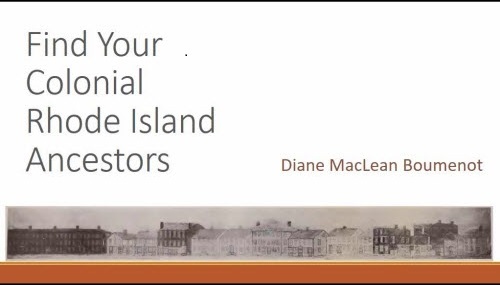 They came to America via Ellis Island and then to Providence. These pictures are very evocative of their lives. Thank you for sharing them. Constance, I readily believe that. Honestly, that’s why I’m posting here. Americans should remember the courage and resolution of their immigrant ancestors and use it to shape their view of our situation today. Most genealogists know this well. Hoping this reaches more broadly to a few others. Thanks for the post Diane, another interesting insight into our family. This is amazing, Diane. My grandparents, Thomas and Clara Gileau, were immigrants from Quebec. They lived in Coventry practically from the time they moved to RI in 1900 one month after My Uncle Wilfred was born in Roxton Pond, Quebec. He was the first of 16 children. 26 years later my father would be the last child to be born into this wonderful family. I have wondered about how they raised 16 children without being as impoverished as these families that are in these photographs. They did live on a farm; my grandfather was in the lumber business and my grandmother stayed at home taking care of her many children. You have given me a gift actually. Compared to these families in the above photographs, I know now that they were rich beyond measure. I would post a photograph but there doesn’t seem to be a way to do that. Thank you again and may all of you have a very Merry Christmas.